The success of Prattville Christian Academy and its students is a direct result of our exceptional talented faculty and staff members. These individuals pour knowledge, life skills and Christ into the student body each day. We are fortunate to call each faculty and staff member a part of the PCA family. In addition to their daily teaching schedules, many of our teachers are also athletic coaches, club sponsors, and leaders in their respective field. 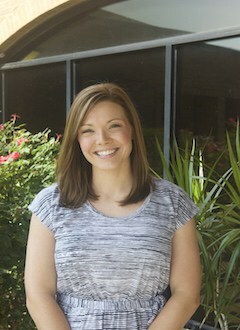 Amy Jolley teaches in PCA’s Resource Center as a tutor for students in grades 1-7. She enjoys be able to come to work everyday to interact with other Christians that try to build each other up and teach our students about our Heavenly Father. 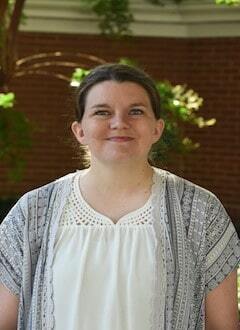 Mrs. Jolley received her Bachelor of Science in Elementary Education from Faulkner University. She is married to Lance Jolley and they have two children, Claire Ellen and Megan. They attend Clanton Church of Christ where she serves as the Children’s Ministry Director. She enjoys volunteering with her local girl scout troop, Relay for Life, Swedish Queens Director, and is involved with the American Cancer Society through her small business, Pillow Fight for a Cure. 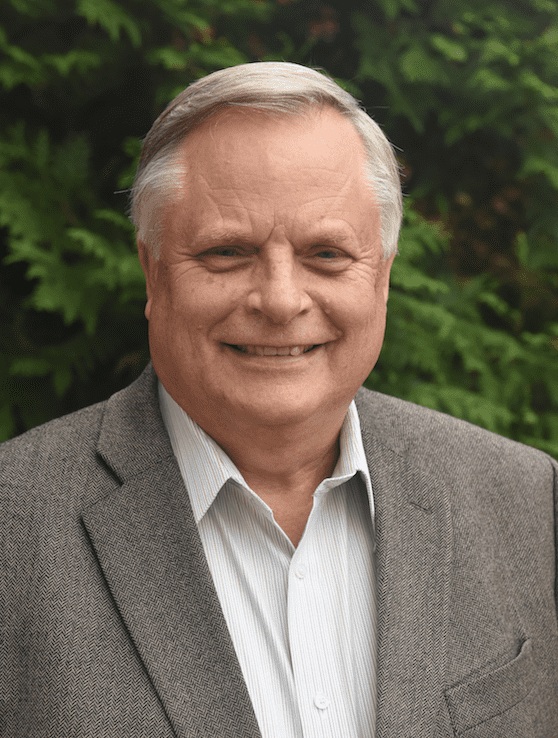 Baron Goins serves as PCA’s Spiritual Director. His responsibilities include spiritual advisor for students, overseeing the school’s Bible departments, as well as coordinating chapels, mission trips, and other activities. 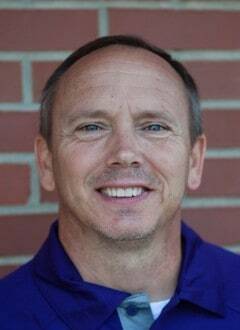 He also teaches high school Bible and Chapel Practicum as well as coaches football. He most enjoys the opportunity to come to work and engage students about their walk with Christ. Mr. Goins received of Bachelors of Art in Sociology from University of South Alabama and a youth ministry degree from Capstone School of Ministry. He is married to Laura Goins and they have three children, Natalie, Tyson, and Joanna. He attends church and enjoys volunteering at Vaughn Park Church of Christ. 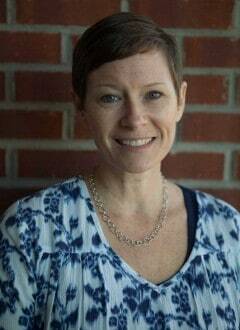 Brigitte McCawley serves as the Academic Integrationist for PCA. She most enjoys that PCA is one family, united in Christ and dedicated to investing in the life of every person God has called us to serve. 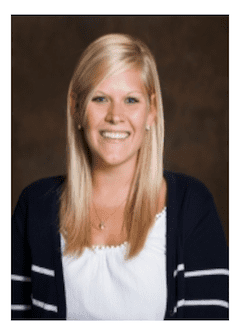 Mrs. McCawley earned a Bachelor of Science in Early Childhood Education, Elementary Education, and a master’s degree in K-12 Education – technology, curriculum and instruction. She is married to William McCawley and they have two sons. She attends Coosada Baptist Church. She enjoys volunteering at the Smith Center in Prattville. Christy Jones serves in the PCA Lunchroom. She loves the people that make up PCA. 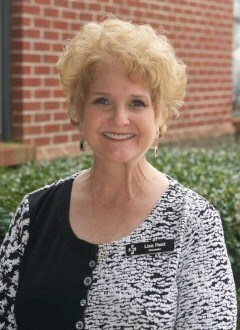 She is the proud mother to Dalton who attends PCA. She attends First Baptist Church, Prattville. 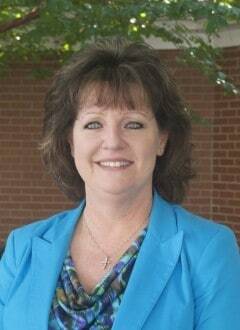 Dawn Oglesby serves PCA as the Lunchroom Supervisor. She enjoys that her child is learning in a Christian environment and working with such Godly people who care about others. 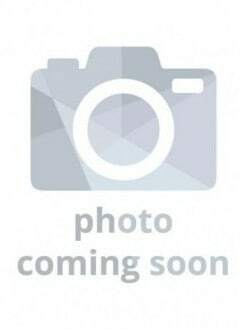 Mrs. Oglesby is married to Stacey Oglesby and they have three children; Sera, Katelyn and Seth. She attached Centerpoint Fellowship Church. She volunteers with the Awana Clubs at Fountain of Grace Church on Wednesday evenings. 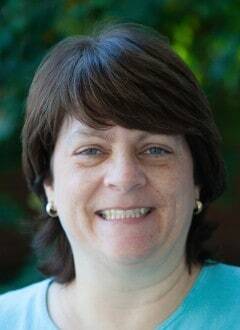 Deborah Kicker serves as the Admissions Director at PCA. Her responsibilities include processing in and out of all PCA students, maintaining student records, and processing transcript request. She loves that PCA provides a solid education to its students and is a safe and caring atmosphere. Everyone devotes themselves to second mile service to students and their families. Mrs. Kicker earned a Bachelor of Science in Accounting from Faulkner University. She is married to Tery Kicker and they have two sons, Ethan and Matthew. She attends Redland Road Church of Christ. 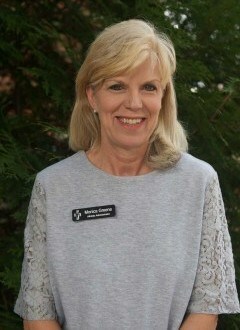 Eugenia Vaughn serves as a PCA’s Preschool Director. She loves teaching at PCA because it gives her the opportunity to teach children about Christ and the opportunity to work with supportive and loving staff members. 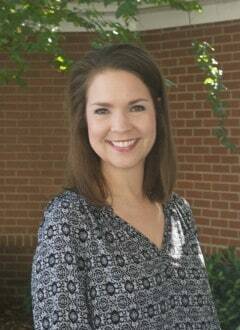 Mrs. Vaughn earned a bachelor’s and master’s degree in Elementary Education from Auburn University and Faulkner University, respectively. She is married to Brian Vaughn and they have three children, Josh, Matt and Lauren. She attends Journey Church where she enjoys volunteering with the children’s ministry. 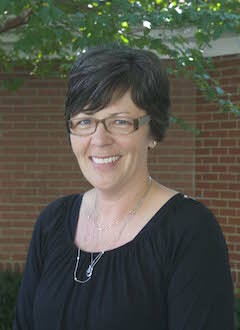 Ginny Carlisle serves as an Administrative Assistant and Substitute Teacher Coordinator. She loves the Christ-like atmosphere at PCA – we aren’t just a school but a family. 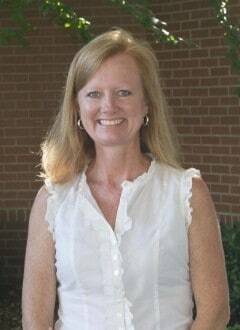 Mrs. Carlisle graduated from Faulkner University with a bachelor’s degree in Elementary Education. She is married to Nick Carlisle and they have one son, Joshua. She attends Elmore Church of Christ where she is extremely active in various capacities, including teaching Bible classes, assisting with the youth group and coordinating large events. Janet Brackins serves as PCA’s school nurse. She most enjoys the family atmosphere at PCA. Mrs. Brackins earned a bachelor’s degree in Nursing from Troy University. She is married to Wade Brackins and they have four children, Andrew, Rachel, Nathan and Lydia. She attends Journey Church. 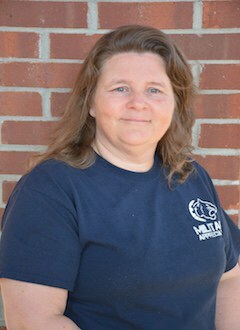 Jennifer Coburn serves as a teacher’s aid. She enjoys working with a great, Christian staff that allows her children to go to school where they matter as an individual. Coach Coburn received an associate’s degree in Business from John Patterson Technical College. She is married to Jason Coburn and they have two children. They attend Liberty Baptist Church. Jo Tatum serves as the Food Service Director. She most enjoys the Christian education that her grandchildren are receiving from people who care about them. She loves working with people who love Christ and show it everyday. Mrs. Tatum earned an associate’s degree in Business Management and is ServSafe Certified. She is married to Jerry and raising her two grandchildren. She is an active member of Hunter Hills Church where she volunteers as a teacher and Communion Prep Leader. Josh Bledsoe serves as PCA’s Crossing Guard and works in the cafeteria. He most enjoys the people, especially the students, who make up the PCA family. Mr. Bledsoe is married to Shanette Relf and they have two children, Keona and Janya. He attends New Walk of Life Church where he volunteers in various roles. 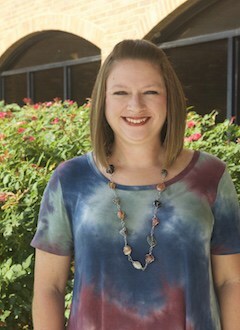 Julie Warlick serves as PCA’s Student Affairs Director. Her responsibilities include enhancing the life readiness mission of PCA while managing the extracurricular and non-secular spiritual affairs of upper school students. She loves the environment at PCA – from those employed to those attending here, there is a sweetness that shows and welcomes the love of Christ. Mrs. Warlick earned a bachelor’s degree in General Studies with emphasis in Biblical Studies And Christian Counseling from Liberty University. She is married to Philip Warlick and they have three children, Tripper, Nathan and Jenna Brooke. They attend Coosada Baptist Church where she leads various Bible studies. Katie Furr is the Junior High and High School Principal. She enjoys the genuine Christian environment. Mrs. Furr received her undergraduate degree in Education from Troy University and a master’s degree from Walden University. She is married to Jason Furr and they have one daughter, Shelby. She attends Landmark Church of Christ where she volunteers with her small group and the youth. 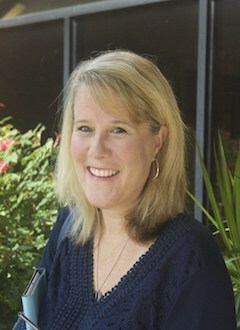 Kim Stephenson serves as PCA’s Academic Director. Her responsibilities include professional development, curriculum, educational initiatives, and ensuring alignment of accreditation standards. She most enjoys the loving family atmosphere and that she can practice her professional passion along with her spiritual passion everyday. 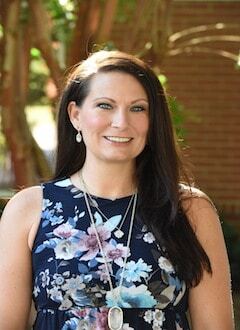 Mrs. Stephenson earned a bachelor’s degree in Biology, a master’s degree in Elementary Education, an Ed.S in Elementary Education and a special education certification from University of Alabama. She is married to Adam Stephenson and they have four children, Emily, Rachel, Nicholas and Drew. She attends Redland Road Church of Christ where she volunteers in various roles. 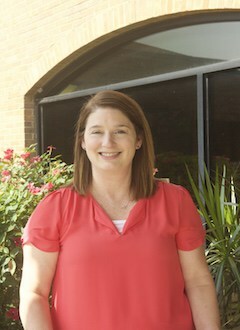 Krista Carr serves as an administrative assistant and sponsors the junior varsity cheer sponsor. She loves PCA because of the christian atmosphere, and the relationships that are formed there. She is married to Jeremy Carr and they have two children, Aiden and Caroline. They attend Hunter Hills Church of Christ. Mrs. Williams is married to Emmett Williams and they have two adult children and two grandchildren. She attends church at Hunter Hills Church. 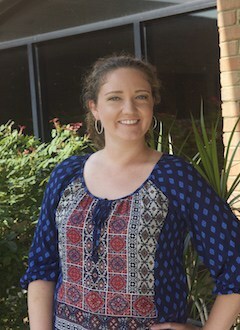 Laura Ann Scott serves as PCA’s Technology Director. Her responsibilities include website updates, RenWeb maintenance, Google Apps for Education, report cards, Moodle, and teacher certification. She loves that anytime she needs anything there are numerous people ready and willing to help. Miss Scott is currently pursuing a degree in Information Systems with a minor in Infrastructure and Development from Auburn Montgomery. She attends Hunter Hills Church and volunteers with Common Ground Montgomery. 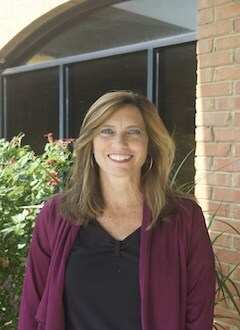 Lisa Reid serves as PCA’s Elementary and Middle School Counselor. She most enjoys the love she has for the students and their families and is thankful for the time that she’s been able to work at PCA. 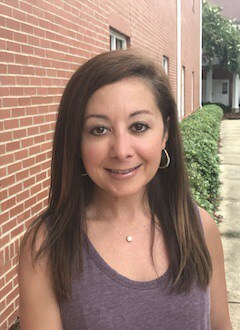 Mrs. Reid earned a Health and Physical Education degree, a master’s in Community Counseling and a second master’s degree in School Counseling for grades K-12 from Troy University. She has many years of counseling experience with families and young people in difficult and sensitive situations. She is married to Ken Reid and they have one son, Jeremy. She attends Frazer United Methodist Church. Maranda Green is the Business Office Clerk. She most enjoys the warm welcome you feel as soon as you enter PCA and the amazing education her son receives in a Christian environment. Mrs. Green attended Enterprise State Junior College. She is married to David Green and they have one son, Ethan. They attend Journey Church where she serves as a greeter and volunteers for various events. 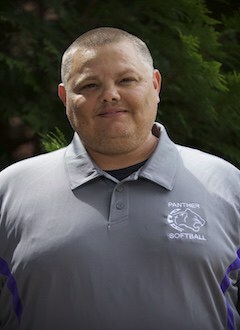 Marcus Gippert is the Facilities and Transportation Director and the assistant softball coach. 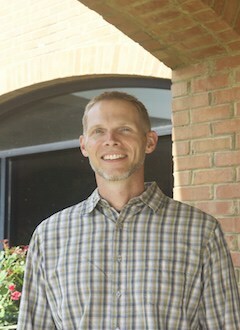 He enjoys playing a small part in helping students grow in their Christian walk at PCA. Coach Gippert served in the United States Navy in addition to receiving an A.A.S. degree in Industrial Management from San Diego State University. He has three children, Jennifer, Marcus and Michael and one granddaughter. His favorite Bible verse is Isaiah 40:31. Mary Greer serves as PCA’s Tanglewood Coffee House Manager. In addition to serving coffee, her duties include connecting with students through mentoring, Bible study and small group activities. She also teaches sixth grade Bible. She loves being part of a Christian team that is focused on preparing future leaders. Miss Greer received her Bachelor’s degree from Harding University and a Master’s in Social Work from the University of Alabama. 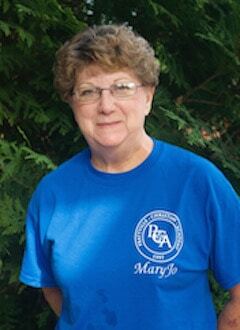 Mary is a Licensed Master Social Worker. 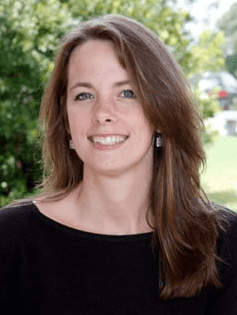 She attends Hunter Hills Church where she serves as the fifth and sixth grade ministry leader and leads the Ennegram personality class for adults. Mary Jo Adams serves in the PCA Lunchroom. She loves the Christian co-workers at PCA. She is married to Johnny Adams and they attend East Memorial Baptist Church where she enjoys volunteering in the nursery and kitchen. Monica Greene serves as the Administrative Assistant to the Athletic Director. She most enjoys the Christian family atmosphere where everyone is encouraged to honor God on a daily basis. Mrs. Greene earned her Bachelor of Science in Business Administration from Auburn Montgomery and a Master of Business Administration from Troy State University in Montgomery. 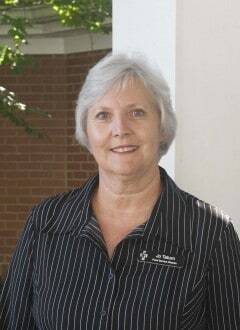 Prior to coming to PCA, she worked for the Alabama Community College Program for 25 years before retiring. She is married to Jerry Greene and they have one daughter, Peri. She attends church at Landmark Church of Christ where she volunteers for several activities. She also volunteers with Compassion 21 and the Meredith Greene Foundation which helps needy children at Christmas and other times of the year. Pat Scott is the Business Director for PCA. Her responsibilities include handling all budgetary and financial matters of the school and providing monthly reports to the PCA stakeholders. She most enjoys the family atmosphere at PCA. She is married to Dan Scott, who works at Common Ground Montgomery, where she also volunteers. They have four children and attend Hunter Hills Church. 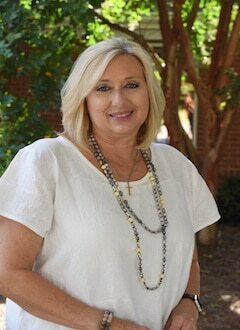 Patricia Dean serves as PCA’s Junior High and High School Guidance Counselor. The thing that she loves most about PCA is the family atmosphere, which is evident by the love and care that everyone shows each other. Mrs. Dean holds a Bachelor of Science in Elementary and Early Childhood Education, Masters of Education, Guidance and Counseling at Memphis State University. She is certified to teach K-6 and counsel K-12. She is married to David Dean and they have two children, Colin and Zachary. She attends Frazer United Methodist Church and volunteers with A Butterfly’s Touch – a non-profit Christian organization that provides support for families impacted by the loss of an infant. Pearleen Graham serves as a Cashier in the PCA Lunchroom. She most enjoys the Christian atmosphere and the wonderful students at PCA. Mrs. Graham is married to Jim Graham and they have four children. She attends Coosada Baptist Church where she enjoys teaching Sunday School, children’s choir and nursery. She is also a Kids on Worship leader. 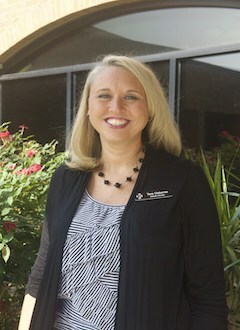 Rachael Heartsill is PCA’s Elementary and Middle School Principal. She loves PCA because it’s an environment where everyday children and teachers from different denominations can come and share their faith while teaching and learning – it’s a place where questions are welcomed and views are respected. Mrs. Heartsill holds a master’s degree in Learning Disabilities. She is married to Van Heartsill and they have four children, Tave, Kaleigh, Dylan and Lainey. She is a graduate of Leadership Autauga and she attends Centerpoint Fellowship Church where she works with the youth. 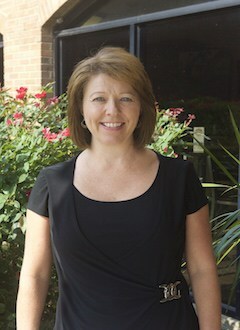 Rebecca Thomas serves as the Marketing and Communications Director at PCA. Her responsibilities include advertising and promotion of the school as well as ensuring effective communication among all stakeholders. She most enjoys the ability to worship and share openly about Christ and the loving environment that is PCA. 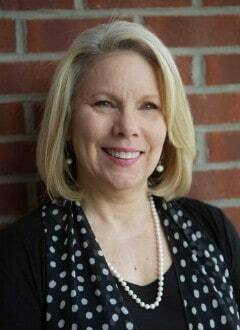 Mrs. Thomas holds a Bachelor of Business Administration in Marketing from Auburn Montgomery and is a graduate of Leadership Autauga County and Emerge Montgomery’s distinguished Torchbearer’s leadership program. She is married to Michael Thomas and they have two daughters, Caroline and Anna Claire. 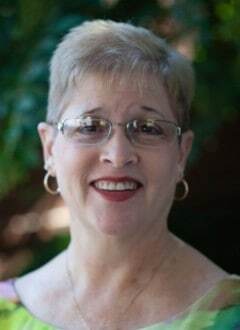 She is an active member of the Prattville community serving on the Prattville Autauga Character Coalition board, Leadership Autauga County board, and Prattville Rotary Club board. She attends First Baptist Church Prattville where she volunteers with various children’s programs. Ron Mitchell serves as PCA’s President. He’s has led PCA since 2004. Dr. Mitchell earned a Bachelor of Science from Texas Christian University, a Master’s Degree from University of Northern Colorado and a Doctorate in Education from Lipscomb University. He is retired Air Force and has taught at various colleges and universities in the United States including the US Air Force Academy. Prior to joining PCA, Ron served in business, business consulting and was Senior Partner for Lifecycle Marketing, a sales and marketing consulting company in Houston, TX. Dr. Mitchell is married to Jennifer Mitchell and they have two children and four grandchildren. He attends Hunter Hills Church. Samantha McGalliard serves in PCA’s Cafeteria. She most enjoys the people who make up the family atmosphere at PCA. Mrs. McGalliard is married to Kenneth McGalliard and they have two children, Clayton and Cheyenne. She attends First Baptist Church of Pine Level. Sherry Phillips serves as an administrative assistance. She loves being part of a Christian school that so clearly puts Christ first and cares about everyone. Mrs. Phillips is married to Bart Phillips and they have two children, Sam and Corbin. She attends Hunter Hills Church. 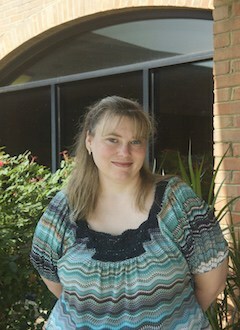 Tangie Taylor is PCA’s Resource Center Director. She enjoys being a part of the Christ-centered mission at PCA that is practiced daily towards the students, staff and the community. 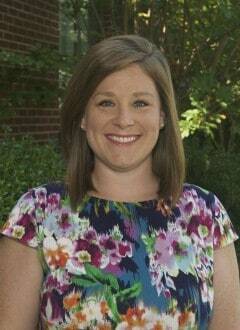 Mrs. Taylor earned a Master of Education in Elementary Education from Auburn Montgomery. She is certified to teach reading in K-12. She is married to Mark Taylor and they have two children, Brent and Liana. She attends Glynwood Baptist Church. Tara Osborne is PCA’s Athletic Director. She most enjoys how everyone strives to honor God first and foremost. Coach Osborne earned a bachelor’s degree in Early Childhood Education from Columbus State University where she played basketball. She is also certified through NIAAA as a Athletic Administrator. She is married to Patrick Osborne and they have two children, Carson and Cooper. She attends Landmark Church. Toni Shugart serves in PCA’s Cafeteria. She most enjoys the friendliness of everyone and being a part of the school’s Christian environment. Mrs. Shugart has worked in lunchrooms for more than a decade and is ServeSafe certified. She is married to Robert Shugart and they have three children, Jessica, Bradley and Suzanne. She is also the proud grandmother to three grandchildren. 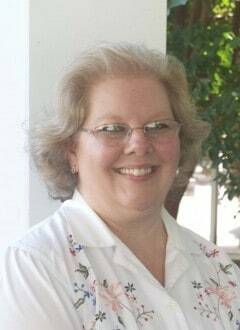 She attends Camellia Baptist Church and enjoys volunteering with Awana and cooking for Wednesday evening services. Wade Brackins serves as PCA’s Middle School Assistant Principal. He most enjoys drawing kids to and building them up in God’s grace. Mr. Brackins earned a Bachelor of Science in English and Math from Troy State and a Master of Science in Education Administration from Florida State. He is married to Janet Brackins and they have four children, Andrew, Rachel, Nathan and Lydia. He attends Journey Church.